In this tutorial, we will show you how to Change the Background image in your BoldGrid site. This allows you to customize your site by incorporating your own image. 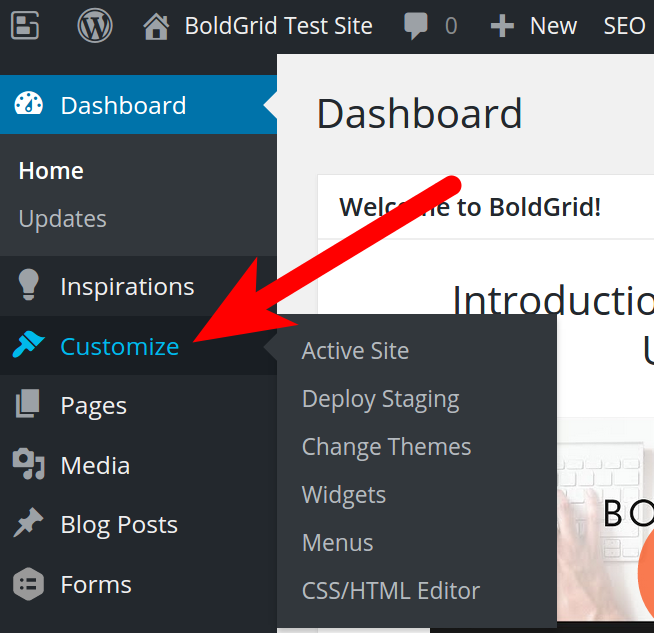 Login to your BoldGrid Dashboard. In the Navigation menu, click the Customize link. 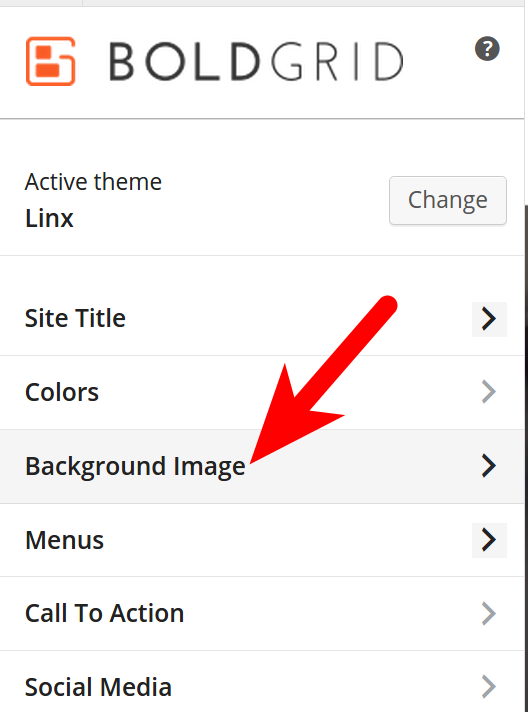 On the Customize menu, click the Background Image link. Remove Click this button to remove the existing background image. Change Image Click this button to select a new background image. Background Repeat Choose from the following display options: No Repeat, Tile, Tile Horizontally, Tile Vertically. Background Position Select if you want the alignment for your background image to be Left, Center, or Right. Background Attachment Choose Scroll if you want the background image to move with the page. Select Fixed if want the backround imaged to stay in place, while the web page moves over it. Click the Save & Publish button, once you have made your selections. Congratulations, now you know how to Change the Background image in your BoldGrid site.